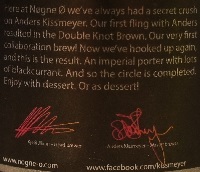 Brewer Description: (from bottle) Here at Nøgne Ø we’ve always had a secret crush on Anders Kissmeyer. Our first fling with Anders resulted in the Double Knot Brown. Our very first collaboration brew! Now we’ve hooked up again, and this is the result. 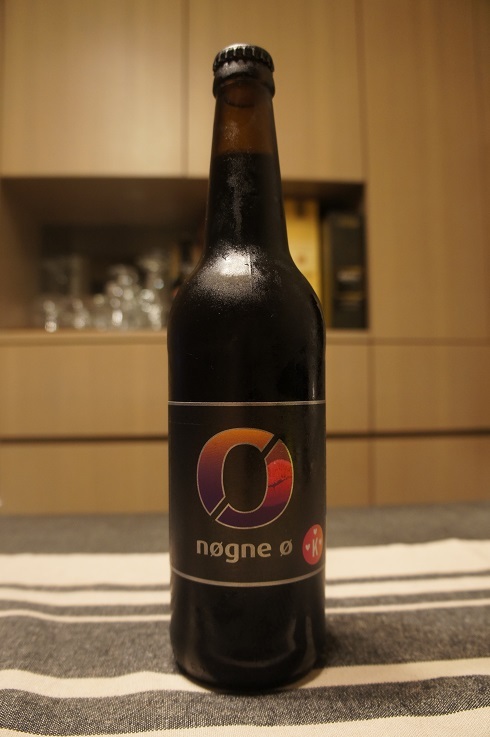 An imperial porter with lots of blackcurrant. And so the circle is completed. Enjoy with dessert. Or as dessert! Intro: A 500ml bottle, batch #1273, brewed on 23rd September 2014. Poured into a Lost Abbey teku glass. Appearance: A dark dark brown colour with a half finger brown head that dissipated quickly and left next to no lacing. Aroma: Blackcurrant comes through strongest supported with some lightly roasted malt and milk chocolate. Taste: Much like the aroma, tart and lightly sour blackcurrant dominates. This is followed by milk chocolate with touches of caramel malt and char. Overall: Not bad at all. 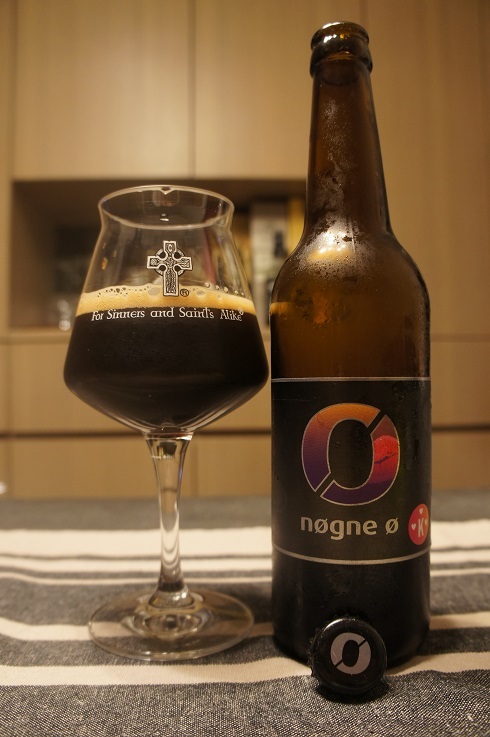 It’s quite different from most other beers I’ve had and the blackcurrant and milk chocolate didn’t seem like it meshed as well as it could have, but still it’s an interesting sipper.